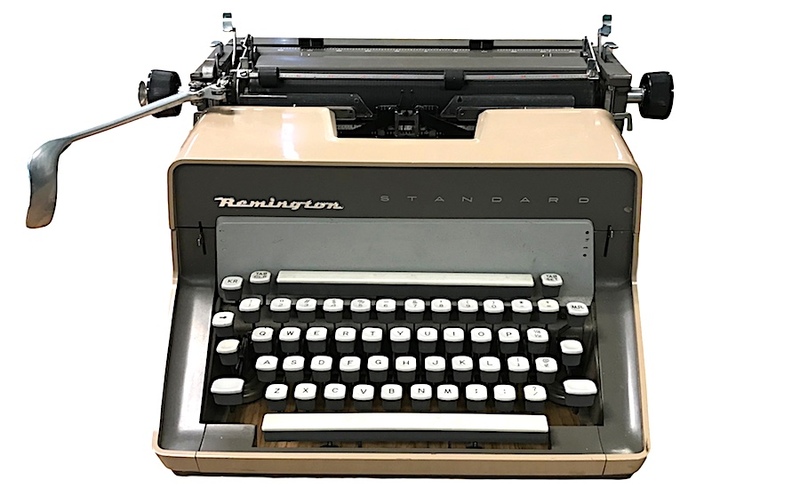 The first “standard” typewriter was manufactured by Remington in the late 1800s, and models extended into the 1960s and late 1970s. 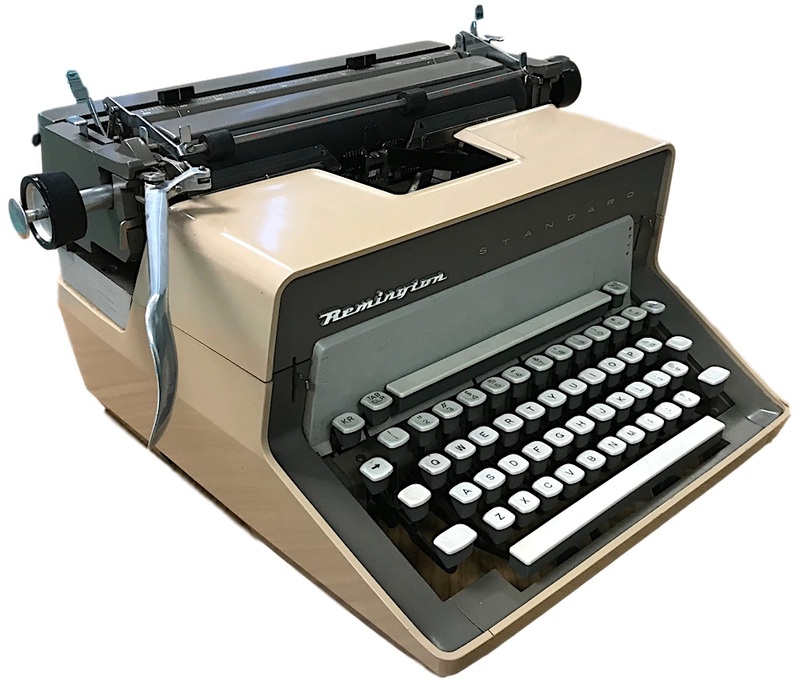 Initially, a standard typewriter was any machine with a four-row QWERTY keyboard, but ultimately the term designated a desktop model. This Model 19 dates to the 1960s, and has a plastic encasement and stylized key-tops. The machine pictured above resides in my classroom. It was donated by Los Altos Business Machines, an establishment that counts Tom Hanks among its customers! The keytops are a striking feature on this machine: white tops with solid-tone base. Other models from this period, mostly portables, also display these keytops, such as the Starfire, the Fleetwing, and the Monarch. While I like the appearance of these keytops, the typing experience is a bit odd. It may be the shallow divots are too small for larger fingers. That said, once a person begins typing, the experience is satisfying. 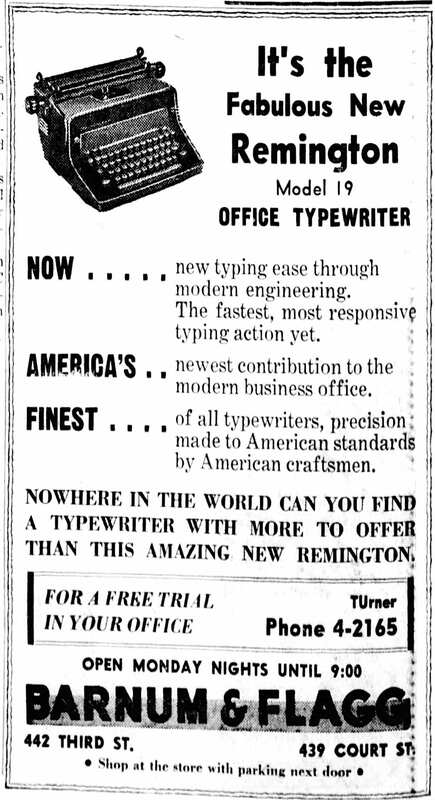 In one advertisement, Remington boasts, “New typing ease through modern engineering. The fastest, most responsive typing action yet.” In my estimation, the Model 19 is a fine machine, but not necessarily the most responsive. 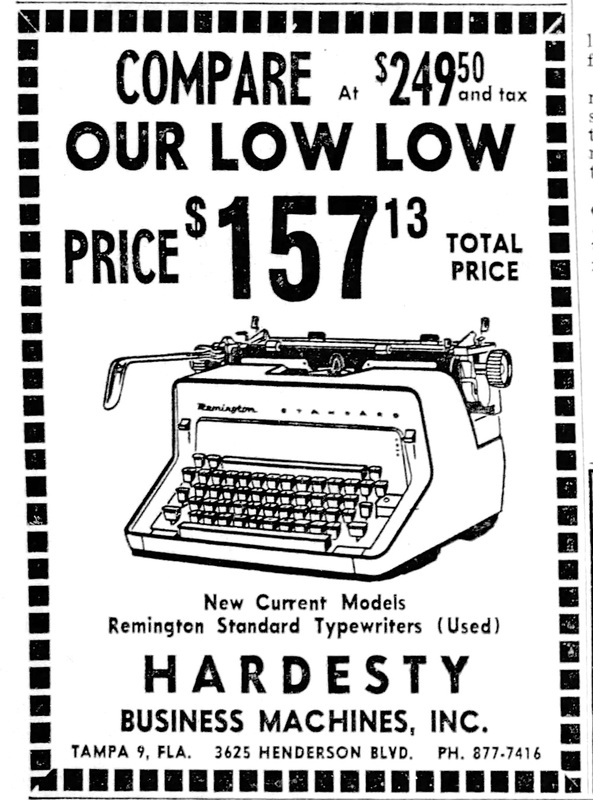 The Model 19 was introduced late in 1960 and sold for around $250. The sale price, however, put the machine at $150 (likely the “standard” price). One advertisement states Model 19 was built from 1962 through 1966, though period advertisements establish 1960 as the date of release. An advertisement from its inaugural year. From the The San Bernardino County Sun (San Bernardino, California), October 30, 1960. Introducing electric and manual models. From the The Liberty Vindicator (Liberty, Texas), Feb. 2, 1961. From the The Tampa Tribune (Tampa, Florida), Jan. 20 1963. From the Statesman Journal (Salem, Oregon), Aug. 22 1967. The advertisement states this model was built from 1962 through 1966, but other advertisements show this model was introduced late in 1960. From the Detroit Free Press (Detroit, Michigan), Oct. 24, 1968. Special thanks to Los Altos Business Machines for donating this typewriter. As seen at TypewriterDatabase.com. Consider supporting TWDB at Patreon (link). Nice looking machine. 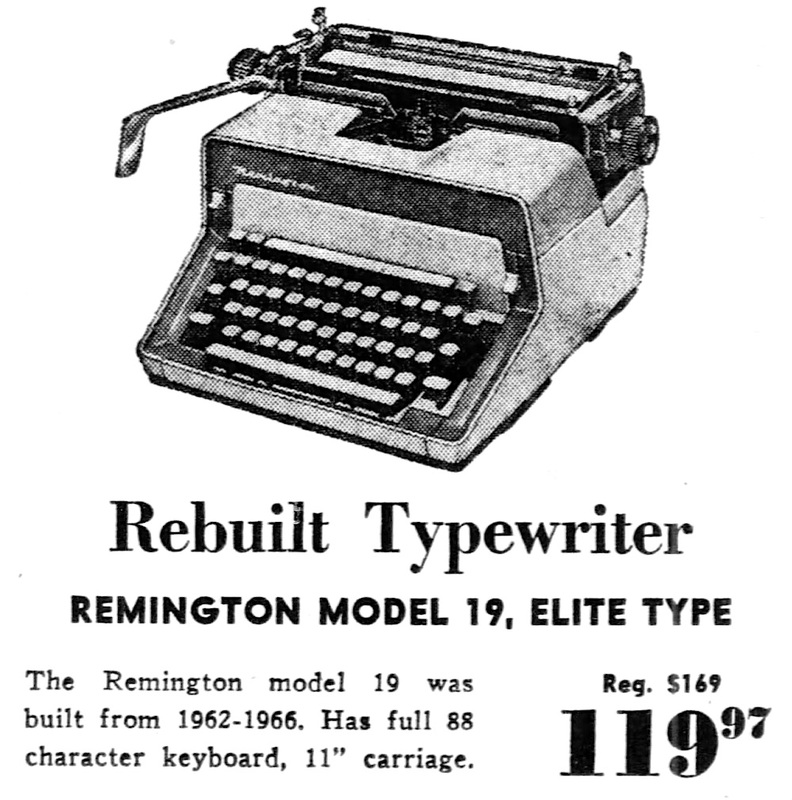 I really doubt the sales claim that this model is “completely new.” Although I haven’t gotten my hands on one, I suspect that it is essentially the Model 17, which I believe served as the basis for all later Remington manual standards.